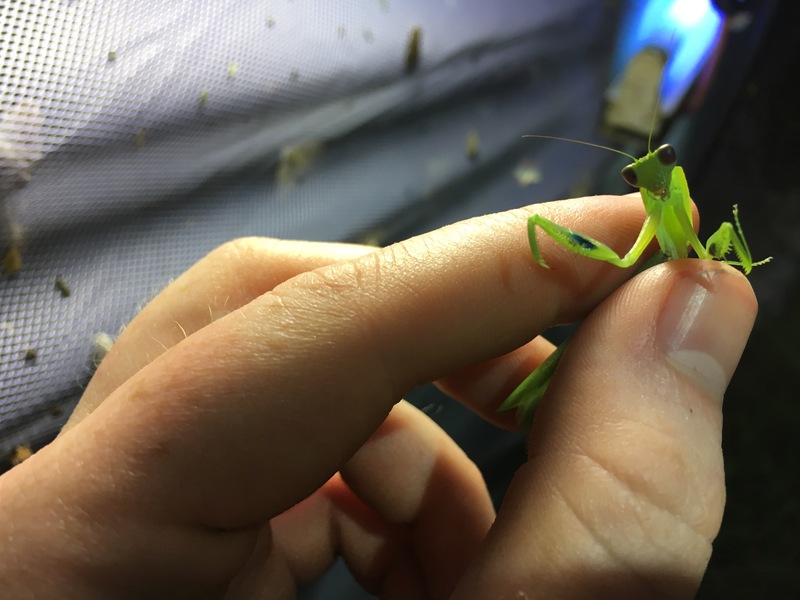 praying mantis Orthodera. Note the color patches on its forelegs. Orthodera sp. showing her forefemoral color patches.